When your average person looks at manure, it's possible they will get a little queasy about seeing it as anything more than animal waste. But for soil scientist Jeff Schoenau, within that same substance exists limitless possibilities for both research and practical use. Schoenau looks beyond manure as a mere byproduct of raising livestock. Instead, he sees it having massive potential in everything from nutrient recovery through its use as a fertilizer to a prospective new path toward a more sustainable industry as a whole. “Rather than a waste, in fact it’s a resource — another valuable output from the livestock operation. From the standpoint of growers, they have another source of nutrients and organic matter that they can use in land application,” he says. Schoenau is a professor of soil fertility with the University of Saskatchewan College of Agriculture and Bioresources as well as the Saskatchewan Ministry of Agriculture’s Strategic Research Chair in Soil Nutrient Management. He explores a wide variety of subjects in his work, including soil fertility and fertilizer management, soil conservation, cropping systems, nutrient cycling, soil-herbicide interactions — and, yes, how manure affects these areas and more. These days, he’s anticipating the creation of the Livestock and Forage Centre of Excellence (LFCE) — a research complex that will bring together all aspects of livestock research — and the changes it will make possible in his own work. Despite being among the leaders in Canadian cattle production, Saskatchewan imports and applies much of the nutrient used in its crop production as commercial inorganic fertilizers. One challenge is the lack of sufficient quantities of manure produced and its low content of nutrient, which limits the ability to economically move it long distances and apply it. Since much of the work being done with livestock extends throughout the province Schoenau says an increased focus on livestock research, such as what a large operation like the LFCE will make a reality, could create better opportunities for the creation and development of effective manure utilization strategies in our own backyard. 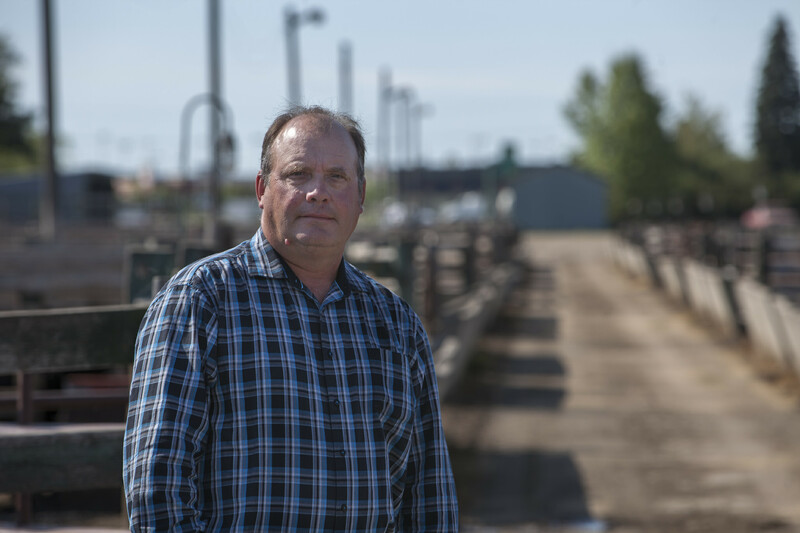 “I guess you might say here [in Saskatchewan] we’re probably in a little bit of a manure deficit in the sense that we certainly have livestock here but a lot of those livestock are spread out over a large area in cow-calf operations,” he says. The LFCE will provide a concentrated hub of research that might help to fill the void of manure in the province. It’s also a chance for Schoenau and his team to conduct some unique research. For example, the site chosen for the LFCE’s feedlot research facility is land to which little or no manure has ever been applied. “It’s an opportunity to take a look at the impact of different manure management application strategies and that includes different approaches to processing and application of manure,” he says. Bringing several operations together under one umbrella has the added benefit of creating a more condensed network of researchers and facilities, geographically speaking. For Schoenau, this means greater opportunity for future agricultural leaders in his own field and beyond to gain more hands-on experience during their education. “Having that facility that close to the university really offers the opportunities to take students … out into the field very easily and give them a first-hand look at best manure management practices — how you would sample manure, how you sample manured soils, how to apply it, the impact on soils and crops,” he says. Article re-posted on 2-Apr-2019 5:19:09 PM .